After a failure to generate pressure at key moments last year, one area the Patriots focused on improving this offseason was the pass rush. 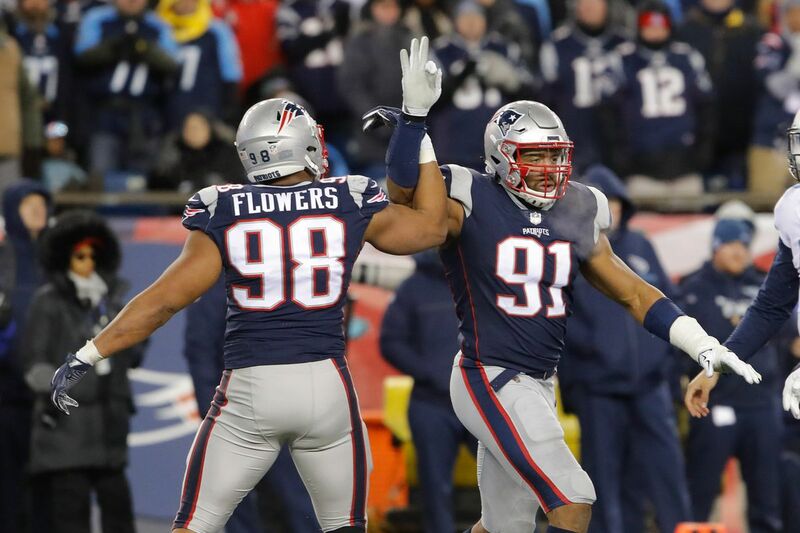 ESPN's Mike Reiss recently wrote a nice breakdown of the defensive linemen and linebackers on the Pats' roster who are set to contribute to the pass rush, noting that the diverse set of options should help the rush make a bigger impact in 2018. With that in mind, here are a couple thoughts on how the new mix might function in this upcoming season. First and foremost, the unit should get a significant shot in the proverbial arm from the big talent coming back from injuries. Star linebacker Dont'a Hightower was out for the majority of the year, and top draft pick Derek Rivers missed the entire season with a torn ACL. That's also not factoring in the other players--like Deatrich Wise Jr. and Trey Flowers--who missed multiple games while scuffling with smaller injuries. Second, the extreme youth throughout the rush should keep the pressure turned up in all situations. While there aren't many candidates to assume a full-time role opposite Trey Flowers (except for Adrian Clayborn, depending on how quickly he picks up the defensive playbook), New England is flush with young ends who can sub in and provide heat in quick bursts. The rotation of Rivers, Wise, and even Eric Lee will make sure the rush is far fresher than it became last year, with a few top players shouldering the brunt of the load. Finally, the versatility of some of these players will ensure the Patriots can bring pressure out of any look and from any angle. Hightower has already established himself as one of the league's premier blitzing linebackers, while Kyle Van Noy racked up 5.5 sacks last year as well. If that wasn't enough, Reiss made sure to mention Eric Lee's experience playing off the ball in Houston (a talent he flashed down the stretch last season) and Rivers' potential ability to work standing up as well. While both Hightower and Van Noy are best suited to interior linebacker spots and Rivers and Lee play a majority of their time with their hands in the ground, the versatility can help disguise more complex looks pre snap and will give Bill Belichick and Brian Flowers even more concepts to toy around with as they manage this defense. The Patriots pass rush was mediocre last season when it mattered. But with some savvy free-agent additions, injury returnees, and new young talent, New England is well poised to field a fresher, more dominant--possibly even a top-10--unit in 2018.